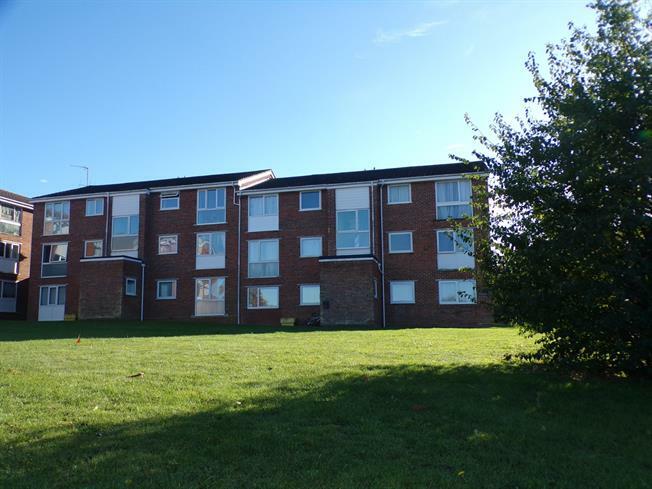 2 Bedroom Flat For Sale in Braintree for Asking Price £115,000. This large two bedroom, first floor apartment is offered for sale with no onward chain. There are two generous bedrooms, bathroom, living room and kitchen. To the front of the property there is an area of communal lawn with mature trees. Across the road is a large country park which is ideal for taking the dog for a walk or for children to play. There is parking in the car park at the front of the property. From the front door, the entrance hall grants access to both bedrooms, bathroom and sitting room. There is also a large walk in airing cupboard. The dual aspect sitting room is at the rear of the property and is bathed in light from two large windows to the rear and side. The wood flooring offers a modern finish to a great entertaining space. The fitted kitchen is also at the rear of the property with ample cupboard space and room for all of the white goods. There is also a pantry style cupboard. The three piece bathroom suite comprises; low level WC, panel enclosed bath and pedestal sink. The large master bedroom is at the front of the property, and the generous space offers more than enough room for a king size bed and all bedroom furniture. A further double room at the front of the property. To the front of the property there is an area of communal lawn with mature trees. Across the road is a large country park which is ideal for taking the dog for a walk or for children to play. There is parking in the car park at the front of the property.